Savannah, Georgia, December 10, 2010, Keith Fauvie, Airline Captain of K.C. 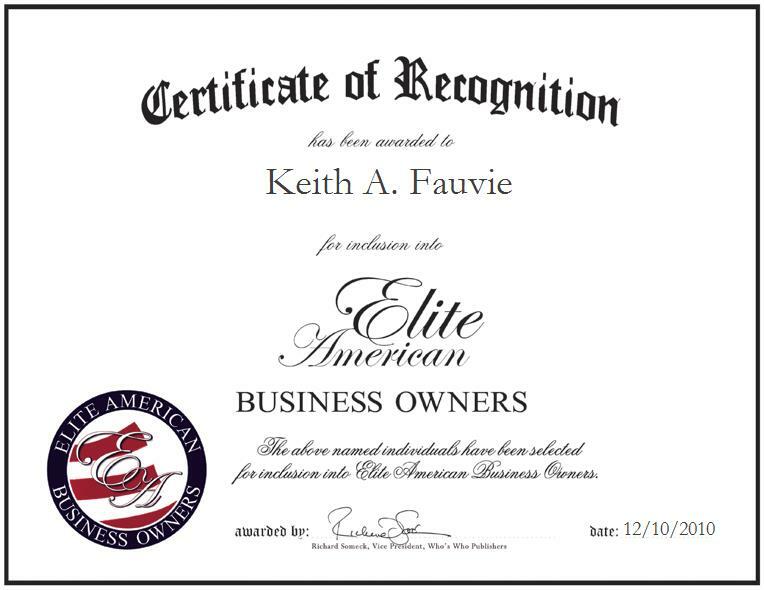 Chartaire, has been recognized by Elite American Business Owners for dedication, achievements, and leadership in aviation. Mr. Fauvie has been flying airplanes since he was 16 years old. By dedicating his professional career to aviation, he has gathered a comprehensive grasp of the entire industry, from aviation safety, to traffic controlling, to scheduling, to operating different airplanes including private jets, and charter and commercial airplanes. A passionate entrepreneur, Mr. Fauvie established K.C. Chartaire, a private plane and charter company, to carry out his career-long ambition to own his own business. The number one priority that Mr. Fauvie employs as an airline captain is ensuring the plane arrives at its destination safely. He is responsible for everyone in the plane, and the plane itself, thus he thoroughly formulates flight plans and checks the crew, paperwork, weather conditions, and plane operations before take-off. Prior to establishing K.C. Chartaire, Mr. Fauvie earned a Bachelor of Science in biology from the University of Pittsburgh. Thereafter, he put 110% of his effort into retaining a pilot license; upon doing so, he learned that vision restrictions would prevent him from flying commercial airplanes. The disappointing news didn’t waver his passion for the industry; instead, he worked as a traffic controller for 15 years and established a golf school for five years. When the vision restriction laws changed, Mr. Fauvie immediately returned to aviation and nurtured his true love for commercial piloting. He went on to work for Trans States Airlines and received his airline transport, instrument and commercial airline rating.